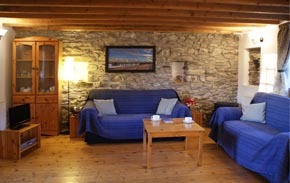 The accommodation is comfortable and consists of two bedrooms: 1 double & 1 single. Shower room with shower, basin and WC. Open plan living area with fitted kitchen, dining area and sitting area with 2 sofas. There is a shared garden and private front patio with garden seating & BBQ plus off road parking. 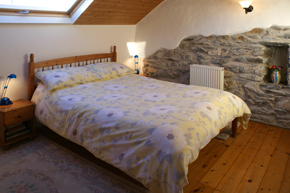 The local inn is 1.5 miles, and nearest town with supermarket 4 miles. 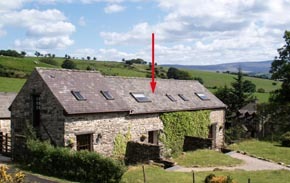 Meifod cottage is part of a delightful 18th century terraced barn conversion which is full of character and offers comfortable, light and airy living accommodation with impressive views of the Snowdonia mountain range. The cottage sleeps three. Together with the adjoining but self - contained properties of Bwthyn and Arfron they can accommodate up to a total of nine people.